Study of Savarino et al prospectively evaluated orocaecal transit time (OCTT) by magnetic resonance imaging for 28 healthy volunteers . In this study, image and lactulose hydrogen breath test (LHBT) was performed concurrently every 15 min up to 180 min. In 8/26 (31%) subjects, MRI showed that the lactulose bolus was in the terminal ileum and not the caecum when hydrogen increased on LHBT. 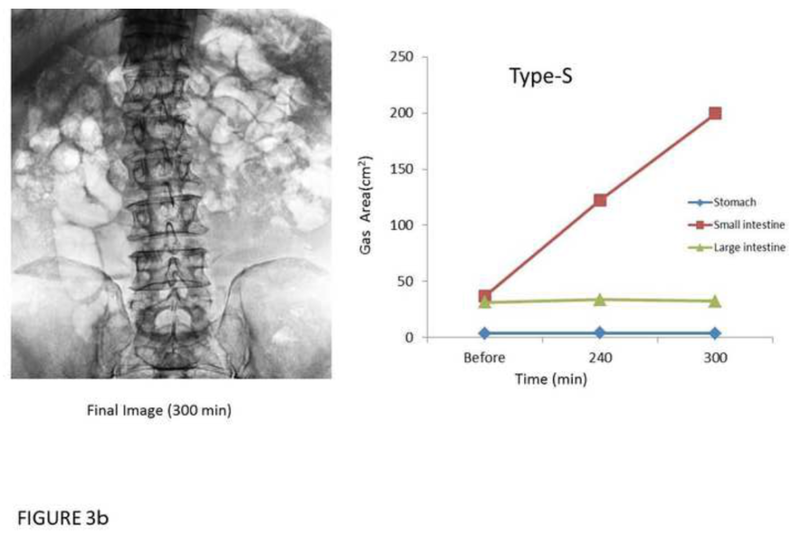 In 5/26 (19 %) individuals, small intestinal bacterial overgrowth (SIBO) was identified by Pimentel criteria  and MRI confirmed the diagnosis in three, while two cases were false-positive due to an accelerated OCTT. Thus, the LHBT diagnosis of SIBO was confirmed by the combined test in five cases, whereas 3/8 (38 %) subjects had false positive LHBT due to rapid transit. Recently, I reported a study of gas volumes in stomach, small intestine and large intestine after ingestion of lactulose . The gas volume was evaluated by plain abdominal X ray. As a result, an increase of the small intestine gas was pointed out after 2-5 hours of ingestion of lactulose. The main pattern (Fig. 1; Type-L; large intestine gas type) was increased gas in the large intestine in the absence of changes in the small intestinal gas within a short time period. There were two types of patterns that the small intestine gas increased. One is a pattern that did not involve an increase in the large intestine (Fig. 2; Type-S; small intestine gas type), and the other was increasing gas of both the large and small intestines (Fig. 3; Type-M; mixed type). Surprisingly, increasing of the small intestine gas was continued for 4-5 hours with and/or without the fermentation in the large intestine. Namely, there is a possibility of lactulose fermentation in the small intestine after the arrival of the lactulose fluid bolus in the caecum. [H2] peak within 90 minutes of the LHBT may be one of the sign of a beginning of the gas increase of the small intestine. Small intestine gas even after the fermentation material passes through the cecum will continue to increase significantly. This phenomenon does not contradict to the symptoms of SIBO (bloating, abdominal pain, abdominal distension). Research methods of Savarino et al. will come out a lot of additional information by the observation time to 5 hours. And, it may lead to the elucidation of pathology in SIBO. Fig. 1 In type-L, gas in large intestine is increased as a result of fermentation in the large intestine without small intestinal fermentation. Fig. 2 In type-S, gas in small intestine is potentially increased by fermentation and overgrowth of bacteria without large intestinal fermentation. Fig. 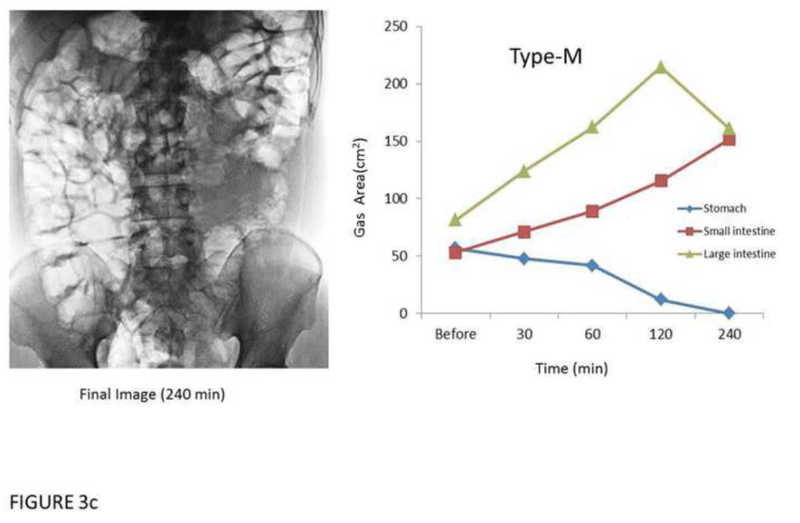 3 In type-M (c), gas in the large intestine and the small intestine was increased as a result of fermentation in the large intestine and the small intestine. 1. Savarino E, Savarino V, Fox M et al. Measurement of oro-caecal transit time by magnetic resonance imaging. Eur Radiol 2015; 25:1579–1587. 2. Pimentel M, Chow EJ, Lin HC. Eradication of small intestinal bacterial overgrowth reduces symptoms of irritable bowel syndrome. Am J Gastroenterol. 2000 Dec;95(12):3503-6. 3. Uno Y. 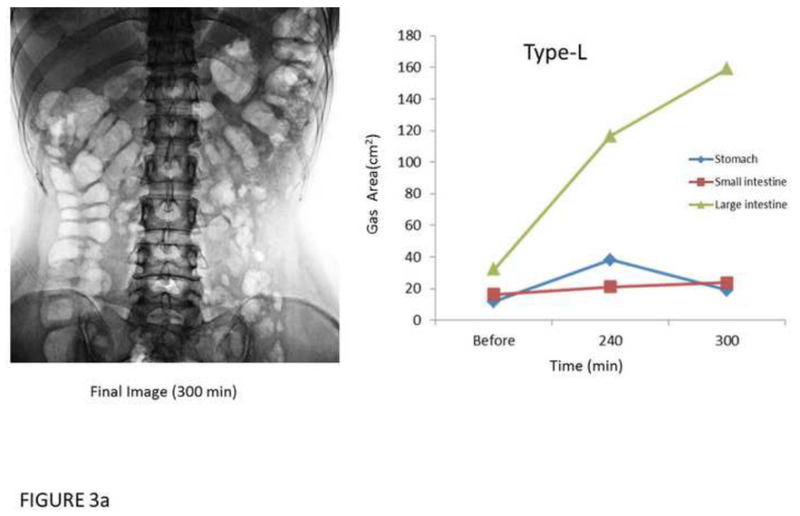 Pilot study on gas patterns of irritable bowel syndrome and small intestinal bacterial overgrowth following ingestion of lactulose. Open J Gastroenterology 2015; 5: 155-163.